Lots of good news of late! March: “Common Motivations for Teaching English Abroad, or A Short Physics Lesson” is the most complicated and ambitious essay I have ever written. In it I address issues of neoglobalism, migration, and neocapitalism through the lens of my experience teaching immigrants in the US and Vietnamese students in Vietnam. It’s a hermit crab, hybrid piece, and I am proud of it, and proud of the editor at Gulf Coast who championed it to get it out in the world. March: The Muse Writers Center in Norfolk is unique in that not only does it offer a wide array of craft classes, but it does not turn away any students who have financial barriers to attending a class. I had the privilege of being the moderator for a panel of impressive women writers speaking about Citizen: An American Lyric. Panelists included poets Luisa Igloria, Remica Bingham-Risher, Renee Olander and Amanda Gomez, plus prison abolitionist and professor Alison Reed and activist Gabriela Igloria. It was fascinating to hear how these writers use archives, personal experience, and the “steady mounting of facts” to demonstrate both racism and love in their works. February: I had the great honor of reading two new poems at Old Dominion University’s Black History Month Celebration. It was a night full of poetry and music. February: My manuscript was a semi-finalist for the OSU Wheeler Prize from The Journal. November: My new manuscript was a semi-finalist for the Lexi-Rudnitsky First Book Prize held annually by Persea Press. November – December: Citizen: An American Lyric Trainings. The Old Dominion University Library won an NEA Big Read grant to bring Citizen: An American Lyric by Claudia Rankine to the seven cities surrounding ODU, locally called Hampton Roads. Fun fact: “roads” here refers to a nautical term from the 17th century, when “roads” meant a deep, safe waterway for anchoring ships. Since I have written about Citizen in the past, I was asked to run trainings for the ODU English Department in conjunction with ODU’s Institutional Equity and Diversity department. I gave three three trainings to over 50 ODU faculty who would be teaching Citizen in 100 level literature and composition classes. The Director for Diversity Initiatives and I also gave a training on Citizen to over 100 representatives of the various public libraries, public schools, and local officials of the Hampton Roads. 2018 was a year of Things Other Than Writing. My partner started a tenure-track position in the art department of Old Dominion University, so we moved from a northern Wisconsin town of 8,000 people to a mid-Atlantic city of 300,000 in a metro area of over 1 million. I took on a full time non-tenure track position teaching literature and creative writing at ODU’s English Department. Between the move, new jobs for both my partner and I, and the kids adjusting, I didn’t get much writing done. Sometimes life is like that. September: I was interviewed about my Vietnamese essays and submission methods for Room Magazine! Oh Canada, your feminist journals win over my heart. You can read the interview here. September: I just got back from the Mineral School, where I spent a week-long residency with three other writers who are parents. Funding for our fellowships was provided by the Sustainable Arts Foundation, which supports parenting artists and residencies that work to make their programs more parent-friendly. Mineral School is an old elementary school that has been renovated into a residency. My room was a huge old classroom, complete with chalkboards. I wrote, foraged apples, blackberries, and huckleberries, swam in the very cold Mineral Lake, watched the mountains become obscured by fog and rain, and generally had a grand time. At the end of the week we went to Mt. Rainier National Park for a hike. This residency was special for me in that my mother worked for four summers at Mt. Rainier when I was a child, and in some ways it was a poignant, if brief, homecoming. August: My family and I have moved from Wisconsin to Virginia, where my partner and I will both be teaching at Old Dominion University. I’ll be teaching Intro to Creative Writing and some sections of Intro to Literature. I am looking forward to getting to be in the classroom again. May: It’s been encouraging to see how well Heavy Light has been doing out in the world, especially since it centers around mothering, post-partum depression, and parent-child relationships. It received an honorable mention for the 2017 Eric Hoffer Book Award in their chapbook category. From their website: “The Eric Hoffer Award honors the memory of the great American philosopher Eric Hoffer by highlighting salient writing, as well as the independent spirit of small publishers. Since its inception, the Hoffer has become one of the largest international book awards for small, academic, and independent presses.” I’m excited to be included with other poets I admire on this list. April: It must be National Poetry Month – I am getting so much good poetry news. The Chequamegon Bay Arts Council, a local arts group in northern Wisconsin, has given me a grant that will cover the majority of my travel to the Mineral School in September. This is a big relief; I admire the way that local arts councils in Wisconsin have stepped forward to help artists after Governor Scott Walker slashed most of the state’s arts funding. April: This September I will be going to the Mineral School Artist Residency on a Sustainable Arts Foundation Fellowship! Mineral School designed a special, one-week residency for parenting writers, and applied for an SAF organization grant to make it free for those accepted. Over 80 people applied for the 8 positions, so I am feeling lucky indeed. I am looking forward to writing and tramping around Mt. Rainier this fall. You can read about the awards and fellowship recipients here. March: My poem “April 12, 1861” about the start of the US Civil War, is out in issue twelve of the museum of americana. This poem came out of writing a poem a day for April 2016 (otherwise known as NaPoWiMo) which I like to do every year, as it stretches the content I write about and primes the pump, so to speak. This was a rare moment in publishing, in that I only submitted the poem once, to the exact journal I thought best suited for it. I wish that happened more often. February: My hybrid manuscript was a finalist for the Georgia Poetry Prize from the University of Georgia Press. December: My poem “What to Expect When You’re Expecting”, published in Gulf Coast, has been nominated for a Pushcart Prize by Two of Cups Press! December: My hybrid manuscript about Vietnam, EXONYM, received a tiered rejection from Graywolf Press for their open reading period. Swoon. November: Rappahannock Review published an interview it conducted with me on its site. The editors asked about Vietnamese culture (as viewed from an outsider), the links between poetry and lyrical nonfiction, language learning, and more. The questions were thought-provoking, and I enjoyed answering them. You can read the interview here. November: TAB: The Journal of Poetry and Poetics published two of my poems, “Grackle” and “Bicycling by St. Mary of the Assumption Church, 11 pm, Boston, March 31st” in volume 4, issue 6. As a reader I like TAB because they provide mp3s of the authors reading their poems, which gives extra insight into a piece. I’m happy to have these two pieces there, along with recorded readings of them. August: My latest lyrical flash nonfiction piece about Vietnam, titled “Qua Hang Vang” (“Persimmon”) appears in issue 3.3 of the Rappahannock Review. The piece takes as its inspiration the poem “Persimmons” by Li-Young Lee, and uses lines from that poem in the prose. Surprisingly, there are not that many journals that take flash nonfiction, so I like reading the Rappahannock Review because its a place to see interesting new work. April: On April 8th I will read work about food systems and their link to cultural understanding as part of From Wisconsin with Love: A Gathering. From the description: “An all-day gathering of dialogue, films, poetry, music, and arts, followed by the premiere of ‘From Wisconsin with Love,’ a collaboration between Northland College students and Filmmaker-in-Residence Paulette Moore. The film explores sustainable local harvest as a challenge to extractive industry. In partnership with the Northland College Indigenous Cultures Center.” I am really looking forward to meeting and reading with L.A. based activist, farmer, and poet Tezozomoc. You can read the full schedule of events here. 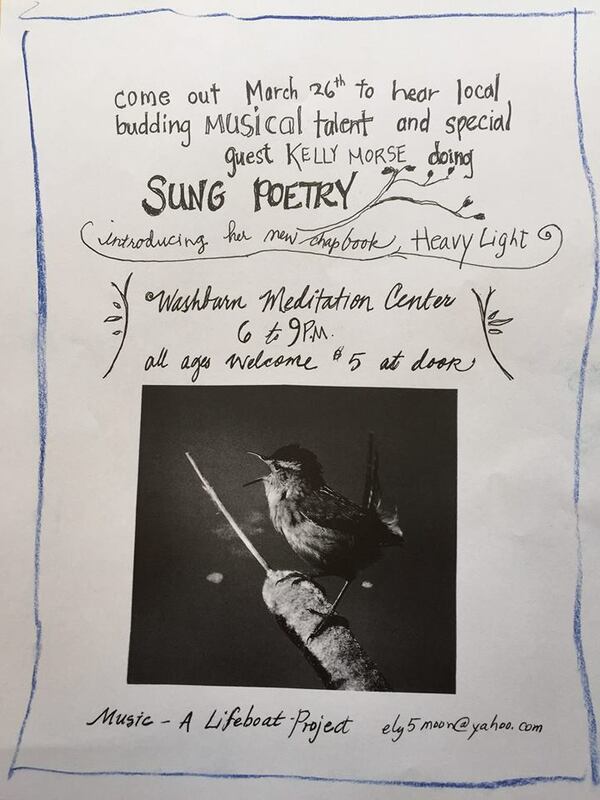 March: I had the great pleasure of talking about and singing song poems at a local community event at the Washburn Meditation Center in Washburn, Wisconsin. I took the group through song poem history, starting with “My Sweetest Lesbia” by Thomas Campion, then on to contemporary songs of poet Catherine Wagner and myself. I’m not sure if it’s what the audience was expecting, but it was fun! March: My hybrid manuscript, EXONYM, was a finalist for Tinderbox Edition’s open submission period. February: My chapbook, Heavy Light, is now available for pre-order from Two of Cups Press! Poems from this chapbook have been published in Mid-American Review, Gulf Coast,The Journal, Entropy Magazine, Tinderbox Poetry Journal, and Riverteeth’s Beautiful Things Series. You can order it now, or swing by the Two of Cups Press table at AWP to see it in person. February: My hybrid poetry manuscript, EXONYM, was a semi-finalist for the The Journal/OSU Press Wheeler Prize. My manuscript is the little engine that could. I think I can, I think I can . . .
January: My poem “Rough Alcaics: Nursing with the NYT” is up at Tinderbox Poetry Journal in volume 2, issue 4. I’m especially pleased this poem found a home, because it’s unusual for me to work in a form. Alcaics was a poetry form often used by Greek poet Sappho, and is used for works that express exile and longing. Tinderbox is a great, relatively new journal, and I recommend checking it out. January: I spent two weeks at the Kimmel Harding Nelson Center for the Arts in Nebraska City, Nebraska. 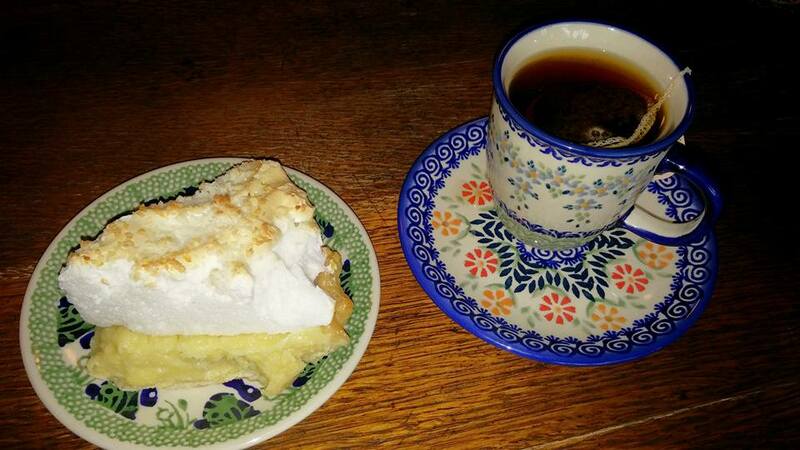 I wrote a lot, read even more, and ate lots of pie. I also went to “The Nature Center”, which contained two floors of taxidermied animals, including 100 chickens, each from a different breed. Stay weird, Nebraska – you’re excellent poetry fodder. I’m so thankful for residencies like KHN that offer shorter residency options for parents. December: My flash creative nonfiction piece “Dar la luz” w as a finalist for Mid-American Review’s Fineline Competition! It is now out in issue 36.1 – a real beaut of a volume. 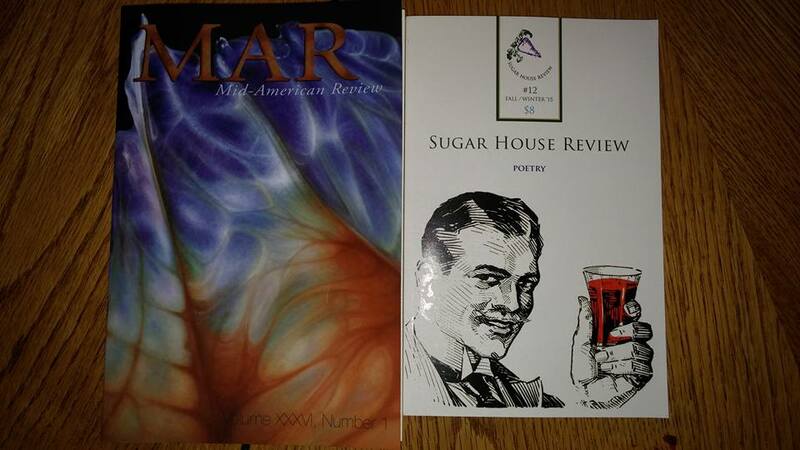 December: My poem “Hong Kong” is sweetly nestled in volume 7.2 of Sugar House Review! I have a soft spot for this journal – not only does it have great design, but it’s from the Intermountain West! November: My poem “Cơm”, about the richness in Vietnamese language surrounding rice and rice culture, just came out in issue 29 of Asia Literary Review. Based out of Hong Kong, this journal is one of my favorites, so it’s exciting to be included with lots of other thought-provoking work coming out of Asia. 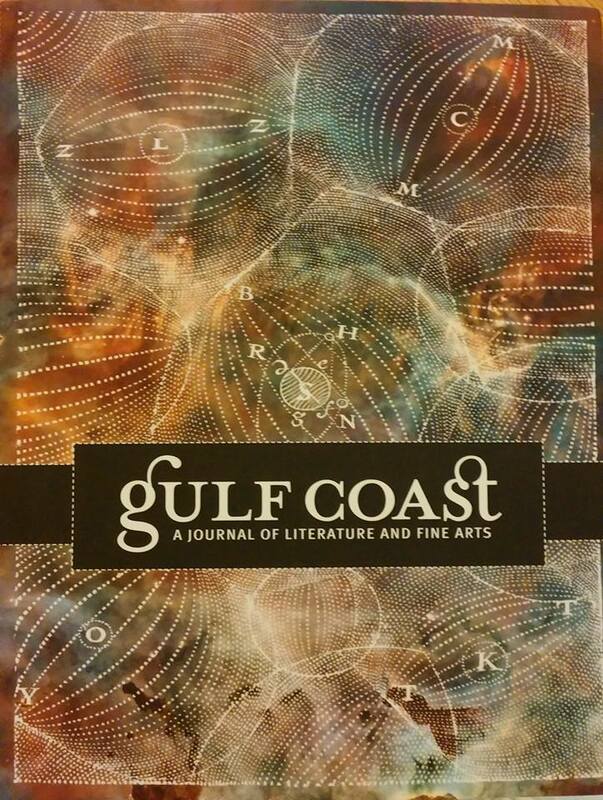 November: So excited to have my poem “What to Expect When You’re Expecting” in Gulf Coast’s latest issue (28.1). No, seriously, the design of this journal is incredible. I’m sharing page space with Sharon Olds, Ocean Vuong, Cathy Linh Che, and so many other talented people – eep! October: I have been offered a residency at the Kimmel Harding Nelson Center for the Arts! October: My hybrid poetry manuscript, Exonym, was a semi-finalist for the Crab Orchard Review‘s First Book Prize. September: My poem “I Kneel and Lay Her Into Snow” is now out in The Journal’s latest issue. Excited to be sharing space with great poets like Kiki Petrosino and MRB Chelko. September: I have a new essay up at Paste Magazine for their Life-Changing Cookbooks feature. It is an homage to 1080 Recetas de Cocina, Spanish cuisine, illegal immigration, and growing up. You can read it here. September: I have been offered a residency at PLAYA! August: I am so excited to announce that my chapbook, Heavy Light, was a finalist for the Two of Cups Press Chapbook award, and that they will be publishing it in 2016! Two of Cups makes beautiful, perfect-bound chapbooks (a small book of 12-30 pages, i.e. a chapter book) that examine and question the world from a variety of viewpoints. Heavy Light is based around the often unsettling experience of becoming a mother. Work from this collection is forthcoming in Gulf Coast and The Journal; you can read some pieces here that have already been published in Riverteeth Journal’s Beautiful Things and in ENCLAVE. June: My poem “Hanoi Sundays” is up at Linebreak, an online journal that issues a new poem every week. I love getting the poems in my inbox every Tuesday. June: I and my co-translator have won Lunch Ticket Magazine’s Gabo Prize for Translation and Multi-Lingual Text for translations of Ly Doi’s poems “Boiled-Steamed-Raw”, “The Beggar of Hanoi”, and “Thinking Without Identity”! The judge, translator and poet Dan Bellm, had this to say about the pieces: “Boiled – Steamed – Raw,” poet Lý Đợi’s biting trio of diatribes against many forms of repression and violence in present-day Vietnam, plays brilliantly with the metaphorical structure of traditional recipes from the north, center, and south of his country. In his hands, these become the doctrinaire instruction manuals of hell, complete with helpful slogans for chanting along. But the tonal shifts, word play, and cultural and political references readily accessible to any native speaker of the language must have made this work especially daunting to translate. Kelly Morse skillfully interweaves a range of registers from high bureaucratic doublespeak and textbook blandness to Buddhist meditation, street slang and song to allow us entry into an underground, officially banned view of Vietnamese society we are unlikely to get anywhere else but in poems. “Boiled – Steamed – Raw” is very fine work. June: There’s an interesting poetry project going on over at Entropy/Enclave Magazine called the #finalpoem project. Poets are asked to write their “final” poem, as if was the end of the world. What would one write on such a day? What comfort can we give each other, the editors wondered? My #finalpoem can be read here. April: I’m so flattered that my writing was cited by Kelly Sundberg, Brevity’s Managing Editor, in her column “Eight Flash Nonfiction Writers” for Vela Magazine. 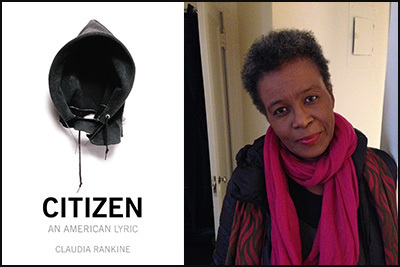 April: Have you read Claudia Rankine’s Citizen, an American Lyric yet? If not, you really, really should. I write about the lyric essay, racism, and Rankine’s Citizen for Brevity Magazine’s Blog in my guest post “Embracing the Painfully Impossible in the Human Heart”. 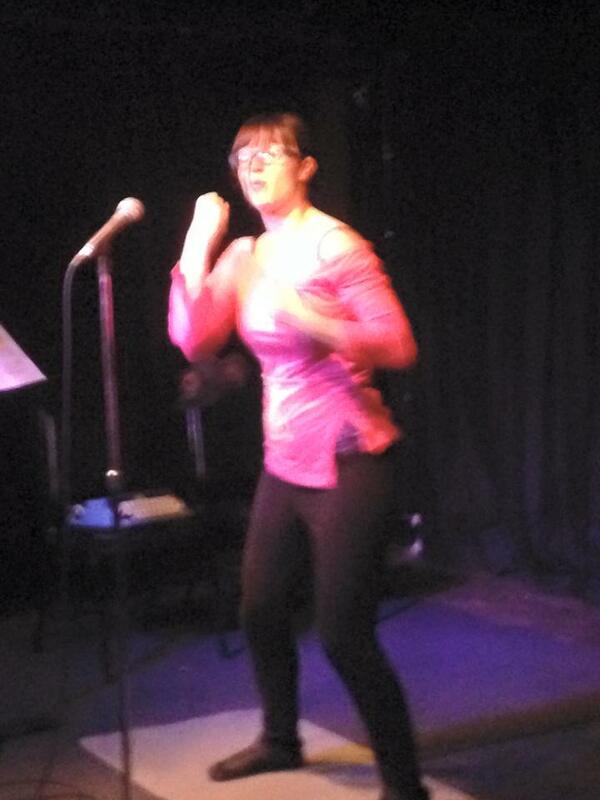 April: Poetry Tae Bo – what every poet needs to strengthen themselves against rejection. 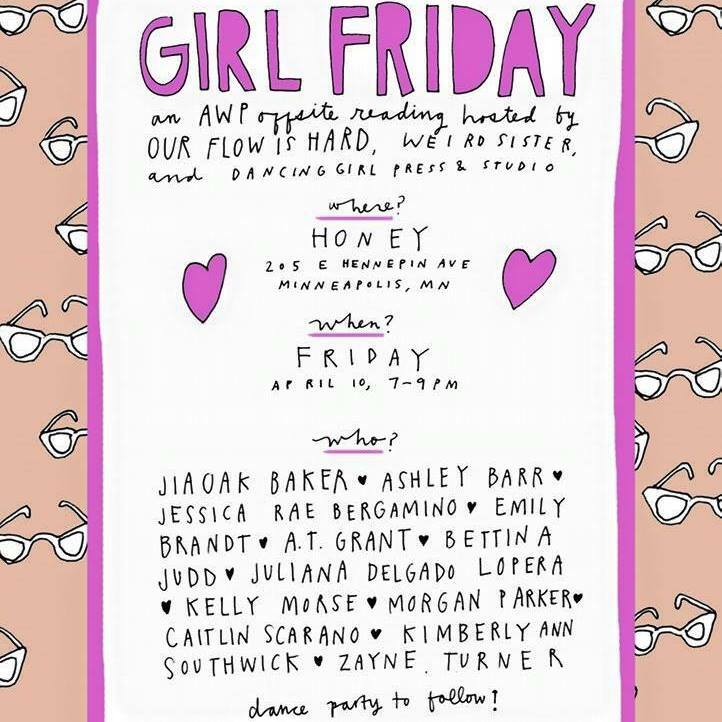 I performed this piece (complete with yoga mat, improvised aerobics step made from old journals, a typewriter, and more) at GIRL FRIDAY, an AWP off-site reading put together by dancing girl press, WIERD SISTER, and OUR FLOW IS HARD. 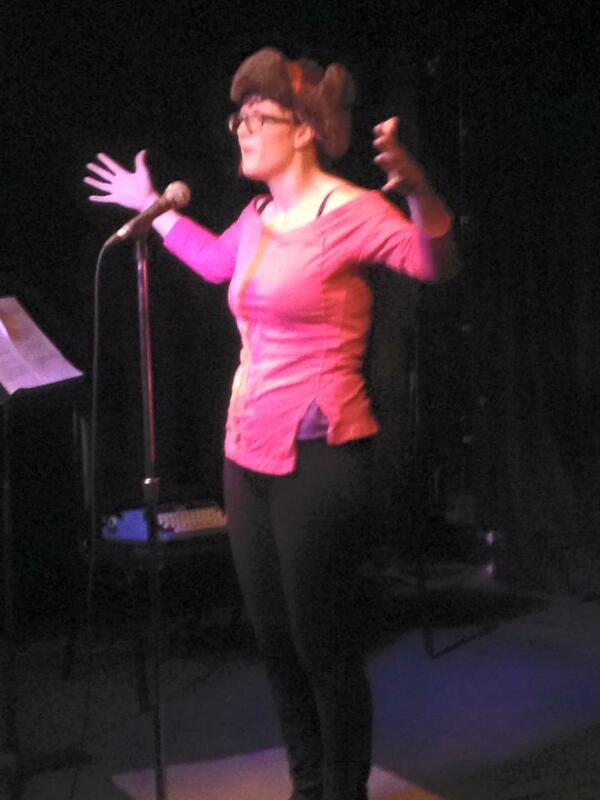 I am so grateful for OFIH for taking a chance on my crazy performance poem! April: A flash nonfiction piece about my childhood, injustice, and apple orchards found a good home at Flyway: Journal of Writing and Environment. You can read ‘Loose Parts’, and my notes about it, here. March: “Open the Door and Here”, a lyrical flash nonfiction essay about the blurring of cultural boundaries when one lives abroad, appears in Quarter After Eight‘s 21st issue, out this month. The issue focuses on experimental, short prose writing a la Baudelaire. January: I am so excited to have two of my translations of poet Lý Đợi’s work published in Asymptote Journal! The translations of the poems “Just Who Do You Think I Am?” and “Read Instructions Carefully First Before Becoming a Poet” can be read here. Not only can you read Doi’s poems, but there’s a recording of him reading the poems in Vietnamese, along with a translator’s note I wrote to give context to his work. Listen for the rooster crowing in the background of the recording – classic Vietnam. January: I review poet Jan Clausen’s latest book, Veiled Spill: A Sequence, for The Rumpus. You can read the review here. December: A few months ago I applied for the Hedgebrook Residency, and while I didn’t get in, I was a finalist. Hedgebrook is a women-only writing residency that practices ‘radical hospitality’ and believes in empowering women to tell their stories. They received 1, 466 applications for 40 residencies, so being a finalist was still very exciting for me. Hopefully next year I’ll be one of the forty! P.S. If you live near Seattle and want to go on a writing retreat, they offer classes! November: I review Vagabond Press’ Poems of Lưu Diệu Vân, Lưu Mêlan & Nhã Thuyên, published as part of their Asia Pacific Series (which I highly recommend checking out). This collection features translations of three emerging Vietnamese poets, two currently living in Vietnam and one from the diaspora. Read the review on M–DASH here. October: I guest blog about sperm and translation woes for M-DASH Journal’s series “The Untranslatables”. Essay here. September: My poem “Nobody Leaves Anybody In Winter” has been nominated by apt literary journal for The Best of the Net 2014. Read more here. 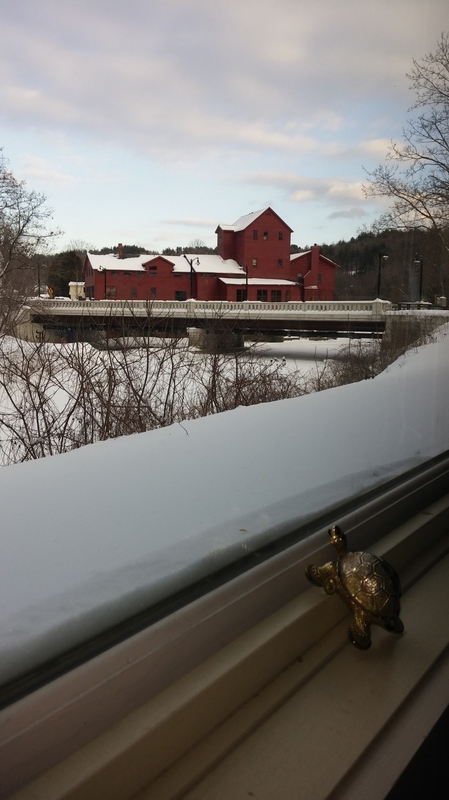 August: I received the fantastic news that I’ve been accepted for a writing residency at the Vermont Studio Center in 2015, complete with a partial grant to cover costs! July: I was interviewed by Katie McClendon for The Writer’s Job about being a writer and working in arts administration. The Writer’s Job is an interesting site in that its editors interview writers who work outside the traditional academic teaching career track. Read the interview here. July: My flash nonfiction piece, “Ritual”, about being a new mother, has just been published on River Teeth’s Beautiful Things Blog. Grafting the new identity of Mother onto that of Writer has been a confusing process clarified immensely by reading the anthology Not for Mothers Only, and the posts by writer Michelle Webster-Hein on the Beautiful Things blog. June: My chapbook manuscript, Natural Language, was a semi-finalist for YesYes Book’s Vinyl 45 chapbook contest! May: I have been nominated for a University of Iowa Outstanding Staff Award for my work at the International Writing Program! 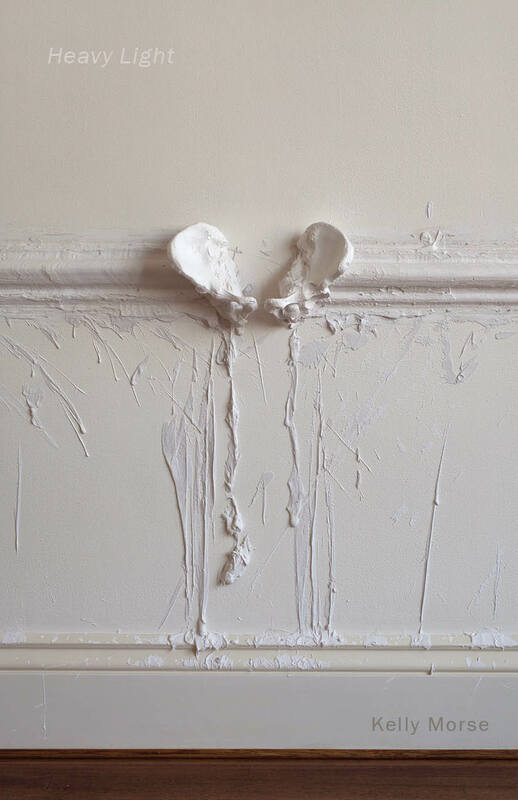 April: Two of my poems, “I’m a Mamapapa Calling for You” and “Nobody Leaves Anybody in Winter” have found a cozy place to nestle at apt literary journal. April: Matador Network asked to reprint my Brevity piece “The Saigon Kiss”. Read it here, with a great new picture. January: Brevity: The Journal of Concise Nonfiction published “The Saigon Kiss”, a piece I wrote about living in Hanoi, Vietnam.